The Second Sunday of every month until construction on Giralda Avenue is complete, The Local Craft Food & Drink will be offering a Sunday Supper from 6 p.m. to 9 p.m. for one low price. The theme will change every month. 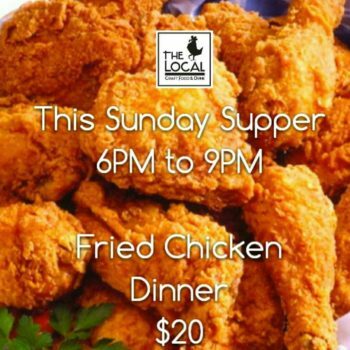 This Sunday, January 8th, the Sunday supper will consist of a Fried Chicken Plate for $20. It will come with Fried Chicken, Mashed Potatoes & Gravy, Coleslaw, and Cheddar Drop Biscuits. 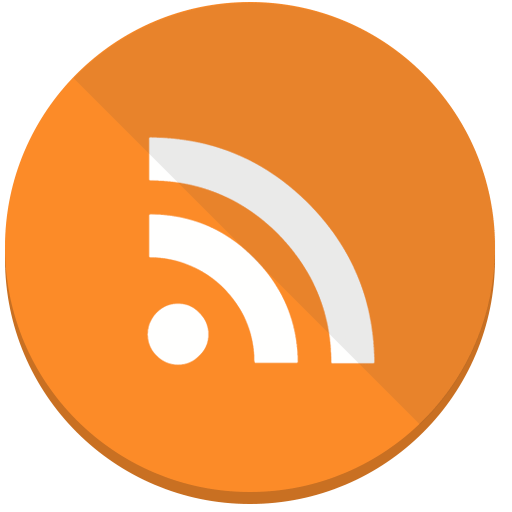 The dish will be served until 9 p.m. or until the restaurant runs out. The duo behind Edgewater’s neighborhood oyster bar Mignonette is expanding their seafood shrine to North Miami Beach. Chef Daniel Serfer and business partner Ryan Roman have opened a second location of their oyster spot in the iconic former Gourmet Diner space at 13951 Biscayne Boulevard. Mignonette’s North Miami Beach outpost replicates many favorites from the original menu and offers several new dishes that are sure to become favorites. Serfer expands the ‘marquee’ to offer 12 different oyster varieties daily, six East Coast and six from the West. It’s the first where you can order Buffalo Scallops and BBQ Octopus thanks to newly anointed Chef de Cuisine Anthony Ciancio. Ciancio (pron. chahn-chyo) has come through the ranks of Miami’s favorite kitchens, Michael’s Genuine Food & Drink, 27 Restaurant & Broken Shaker and Alter, and worked under two James Beard award-winning chefs – Sean Brock at McCrady’s in Charleston, SC and Jodi Adams at Trade in Boston, MA. Embracing the same “plain and fancy” mentality from the Mignonette Downtown, Serfer and Ciancio offer a fresh take at Mignonette Uptown, drawing from Ciancio’s unique experiences and skills. The popcorns, plains, and dailies all make appearances on the new menu, as do the po’boys stuffed with fried conch or shrimp. Same for the oysters and a killer wine list (“which keeps the lights on,” says Serfer). And yet, many new items have also been added. Joining the OG offerings are ‘Fancy’ dishes like Dry Aged Bone-In NY Strip with Pommes Anna. Rounding out the menu is lighter fare like Gem Lettuce Salad with honey mustard, avocado, farro and pistachio; Roasted Carrots with amaretto and honey; Cucumber with lime and herbs, and Charred Sweet Potato with chili and herb butter. Among the crowd pleasers are Warm Maine Lobster Rolls, Buttermilk Fried Chicken, and Crab Cakes. For dessert, a rotating fluorescent-lit gold display case filled to the brim with cakes and pies pays homage to the original diner courtesy of new Pastry Chef Devin Braddock. The design is meant to recall Old Florida-meets-roadside diner. 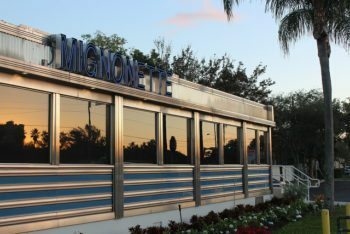 The centerpiece of the design is the building itself, a classic aluminum-sided diner with can’t-be-missed neon signage. Serfer added an oyster shucking station front-and-center, flanked by two ice-filled oyster displays. 23 bar seats span the length of the diner, offering patrons an intimate view of the kitchen. There’s ample parking, although we can’t promise that our wait staff will be serving you car-side in roller skates. 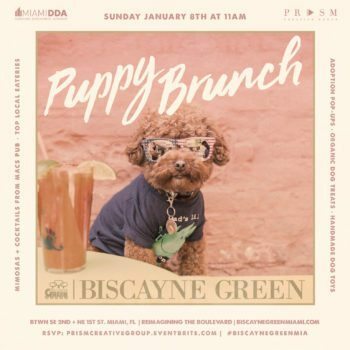 Miami’s most epic brunch is hitting Biscayne Green this Sunday (January 9), and it’s one for the dogs! The first-ever Puppy Brunch is happening between SE 2nd Street and NE 1st street, and it’s going to be just as cute as it sounds. Bring your furry friend for a Sunday of doggy fun, activities, and all the treats they can dream of. From 11 a.m. to 3 p.m., there will be puppy food by Dishes For Dogs, puppy poetry bandanas by O, Miami Poetry Festival, a pop-up by Downtown Dogs MIAMI, activations from Pets by Carvas and puppy paw art by Equipaws Pet Services, LLC and a mini Puppy Zine Fair featuring puppies and their parents brought to you by EXILE Books. For the humans, brunch will be just as epic. Enjoy Sunday specialities by some of the best local eateries like della Test Kitchen, Threefold Cafe, Bakehouse Brasserie, The Avenue MIAMI, Vice City Bean, ALL DAY, Yoko Matcha and more. Plus, hand-crafted cocktails by Mac’s Pubs and a jam sessions by Miami’s own Patrick Walsh and indie-funk group Magic City Hippies. 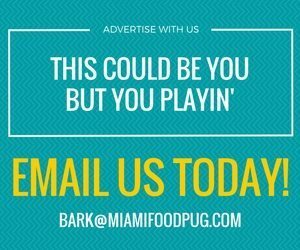 To bring everything full circle, Jamie’s Rescue and Miami-Dade Animal Services will be in attendance with some precious dogs available for adoption. Be sure to swing by for an epic opening weekend on the Greens! 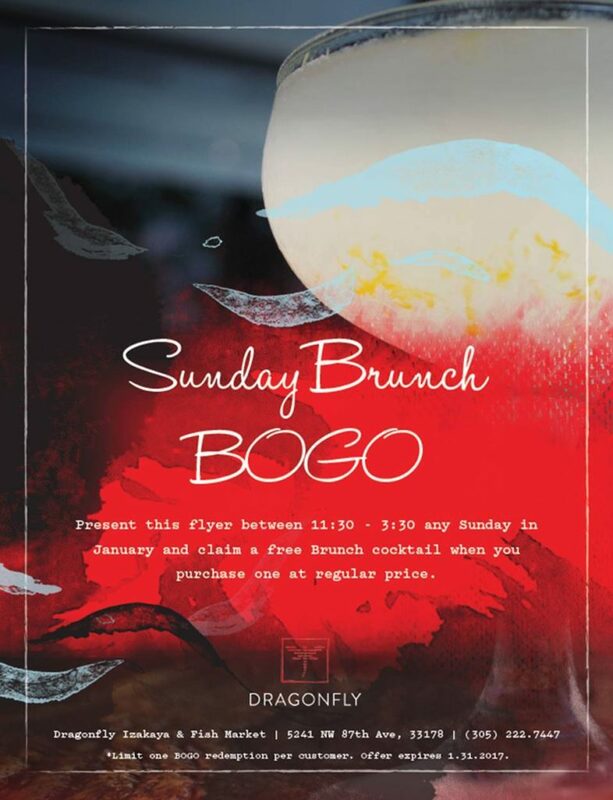 For the month of January, Dragonfly Izakaya and Fish Market in Doral is offering a BOGO Brunch cocktail deal every Sunday from 11:30 a.m. to 3:30 p.m. Just present the above flyer during that time frame, and you’ll receive one free cocktail when you purchase one at regular price. 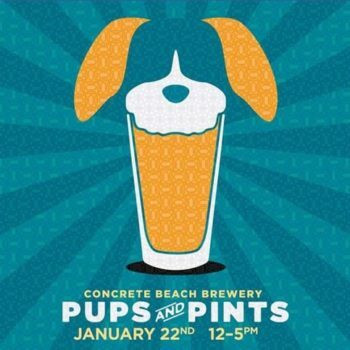 Concrete Beach Brewery has partnered with Jamie’s Rescue, a Miami-based, non-profit dog rescue that has placed thousands of dogs in loving homes, and is inviting dog lovers and their four-legged friends to the Social Hall for a fun-filled day on Sunday, January 22! From noon to 5 p.m., humans who purchase a beer will get a complimentary Woof Wort for their pup! Woof Wort is a specialty (non-alcoholic) doggy beer made with beef stock and bacon that your pup is guaranteed to love; it will ONLY be available at the Social Hall during the Pups & Pints event. On this [Jan 12] day in history, Blue Collar opened its doors to the MiMo District in Miami, FL. In 2012, Chef/Owner Daniel Serfer took a gamble on himself and the neighborhood, when he conceived his home-style menu in comfortable surrounds. 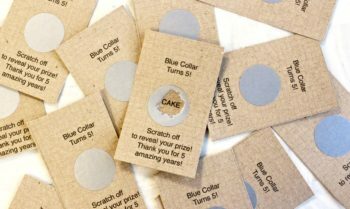 To celebrate the restaurant’s 5-year anniversary, Blue Collar will give a 100% guaranteed-to-win scratch-off ticket to every table and take-out order on Thursday, January 12th until all 1,200 tickets have been distributed! Prizes include Blue Collar coffee mugs; gift cards; a free Blue Collar side dish plus the restaurant’s ‘dailies’; an order of Ribs, Braise or Parm. Guests that prefer to dine en sofa will receive scratch-off cards with each delivery. Designed to be a community hangout with coffee, breakfast, drinks, sandwiches and pastries with an upstairs creative space perfect for wellness classes and designer pop-ups, the team behind The Smile NYC has joined forces with David Grutman and developer Craig Robins to open OTL in the Miami Design District. The two-story, 7,000-square-foot restaurant and café is located at 160 NE 40th Street, in the pedestrian neighborhood, home to more than 60 flagship stores, design showrooms, restaurants, galleries and cultural experiences. 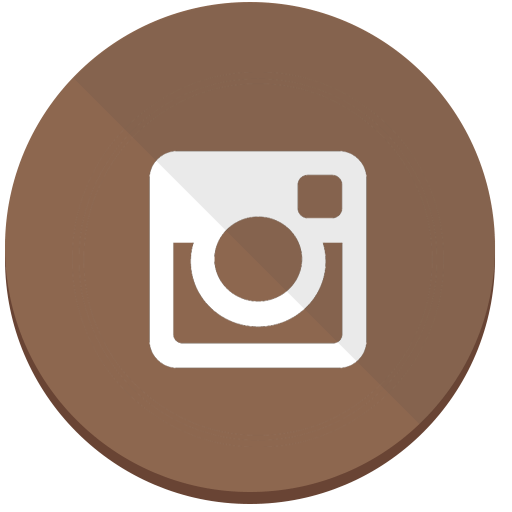 OTL is both comfortable and cultural, and deeply rooted in the local community. The second floor will be used for a variety of programming, from yoga classes and meditation to interactive panel discussions, designer pop-up shops, and much more. 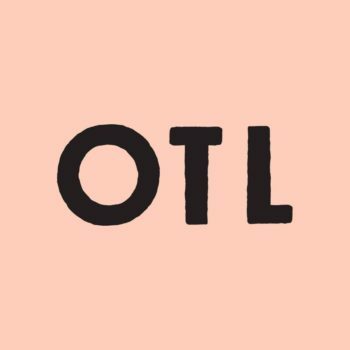 OTL will feature ultra high-speed internet and both indoor and outdoor seating, encouraging patrons to treat the space as their creative headquarters in the District. 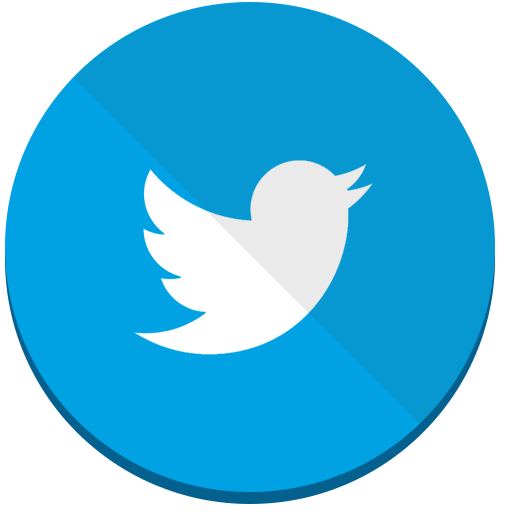 OTL will serve breakfast, light fare, snacks and a happy hour. The menu will feature organic food available on-the-go or to-stay, for those looking to sit and make the most of the vibrant destination. Breakfast items include healthy options such as granola, avocado toast, eggs and fruit. Sandwiches are served on freshly-made Zak the Baker bread. Salad ingredients, wraps and pastries will also be locally sourced. Join Slow Food Miami as they host the year’s first Snail Social on Tuesday, January 10, 2017 from 6PM – 8 PM at della test kitchen. As part of the Snail Social, della test kitchen will host Happy Hour, a mini-mixology workshop and garden tour – all for complimentary admission. Slow Food Miami will also announce an exciting expansion of the Snail of Approval program that will include more local and craft distilleries and breweries. The first Miami food truck to be awarded a Snail of Approval Award, della test kitchen – located in The Wynwood Yard – serves plant-based globally-inspired bowls, lovingly known as “healthy bowls of happy.” Guests can choose from house favorites like the Dalé bowl – or they can customize their own bowl layered with grains, greens, other vegetables, energizing proteins, nuts, raw roots and addictive sauces. CEO Della Heiman founded the fast-casual concept in order to make healthy, vibrant food as affordable and approachable to as many people as possible. 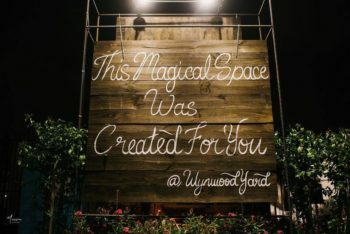 Muriel Olivares with Little River Cooperative will also join the Snail Social to lead a tour of the newly expanded garden at The Wynwood Yard. The garden provides herbs for cocktails at The Bar at the Yard, as well as vegetables and edible flowers for della test kitchen and other restaurants at The Wynwood Yard. To celebrate the addition of distilleries and breweries to Slow Food Miami’s Snail of Approval events, Jennifer Massolo with The Liquid Projects will be a special guest. Massolo, who specializes in small-batch artisanal spirits, will host a mini-mixology workshop where attendees will learn about local, craft liquor and garden-to-glass methods while enjoying a complimentary welcome cocktail. Attendees can savor complimentary samples of della test kitchen favorites and will receive a 10% discount on regularly priced items. Drink specials at The Bar at the Yard will include Happy Hour prices on a garden-to-glass punch and select local craft beers. La Moderna invites guests to join them in an evening of good company, authentic Italian bites and specialty cocktails on Wednesday, January 18th, from 6-8 p.m. The happy hour event will allow guests to enjoy a complimentary round of drinks and light bites courtesy of the night’s host – Prosecco Valdo. Grab your friends and take them on a savory adventure through Italy, please RSVP for this event at info@lamoderna.com. When you are voted one of the most romantic restaurants in Fort Lauderdale, Valentine’s Day becomes quite a big deal. 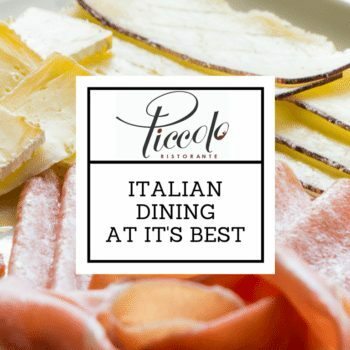 While many restaurants are busy planning special menus and events for the big day on February 14th, Piccolo Ristorante is going against the grain and planning a very special “Bubbly” wine pairing dinner for before the big day. On Wednesday February 8th at 6:30pm, Chef Andres Avayu will be serving up a very special 5-course dinner paired specifically with fabulous “bubbly” wines. Serving up delectable food and wine pairings at his “hidden gem” Piccolo Ristorante is just an everyday occurrence for Chef Andres Avayú, but this menu will be something you definitely won’t find anywhere else. To start the evening, Chef Andres will be preparing a delicate and delicious Wild Berry and Goat Cheese Salad. This dish will be paired with an Italian Blanc de Blanc by Villa Sparina. Next up will be Chef’s Italian Steak Tartare with Berry Chianti Glaze and Shaved Foie Gras. This decadent course will be paired with a fabulous Rose Grand Cru by Paul Clouet. The evening’s 3rdcourse will be sure to be a fan favorite, Champagne Mussels. The Lallier Grand Cru Milesilme 2008 has been selected to be paired with this amazing dish. For the 4th course of the evening, Chef will be serving perfectly Roasted Quail with Smoked Champagne Potato Puree, Roasted Red Bliss and Parmegiano Reggiano Foam. This spectacular dish deserves an equally spectacular wine, so we have selected the Marguet Elements Brut. And last, but most definitely not least, the dessert for the evening will be an incredibleChampagne Cupcake with Champagne Butter Cream Frosting. To round out the wines, this final dish will be paired with a Bortolotti Prosecco Superiore Brut. Tickets for this dinner are $100/person plus tax and gratuity. 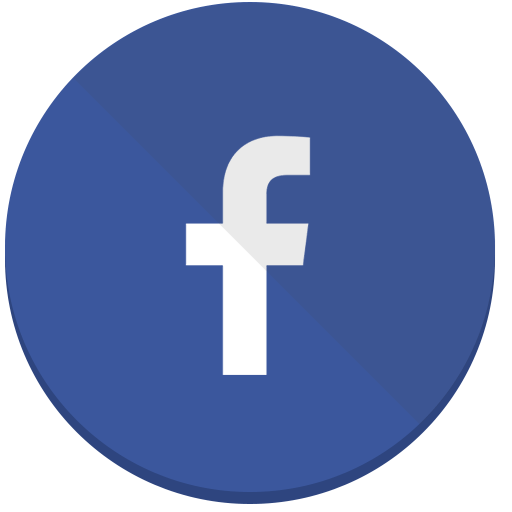 They can be purchased by calling 9554.776.8066. A credit card will be required to hold the reservation. Seating is limited.